During this time people read enough and see the news about the convenience of schools in Finland. So many reviews on Facebook or Youtube about Finland. Some of us may also be curious, is it true that students are not given homework, and there is no examination? Is it true that students in Finland are not allowed to memorize? If so, that would be great. Many people are curious about the secrets education in small States that the total number of the population of 6 million people. Students Finland always get the top rankings on tests of PISA or Programme for International Student Assessment. 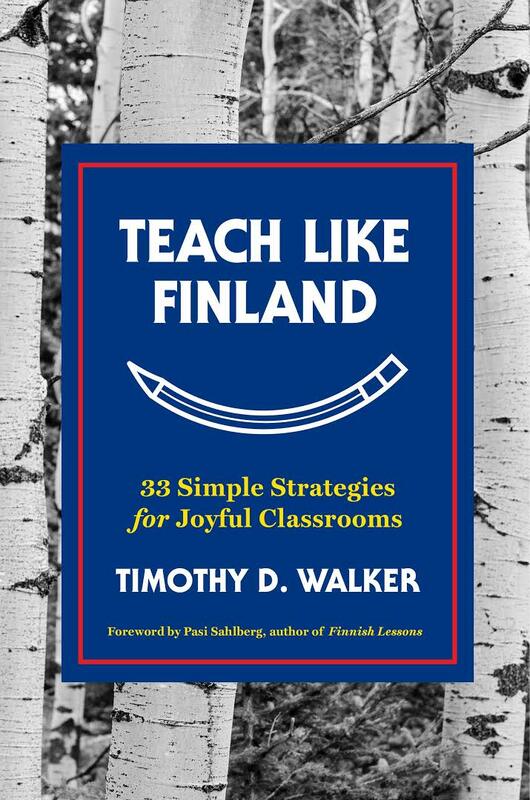 Timothy D. Walker, in his new book "Teach Like Finland" divulge some key and simple strategy education in Finland. Tim write this book based on his own experience as a former teacher in the US which teaching in an Elementary school in Finland. Tim found some conclusions. First, education in Finland very pay attention to the welfare, both students and teachers. "In the first few days teaching, I spent the rest of the time to check out the teaching material or email, as usual I do in the US. Meanwhile, the teacher Finland relax in the room while drinking coffee", Tim said. Not how long, a teacher came to Tim and encouraged him to join and said, "I am very concerned about your health. Are you depressed, you must remember that you are the boss of your job, don't get enslaved by work. He sees it as one of the very positive paradigm. Education in Finland, with regard for the well-being, both physical as well as the inner of each individual. This appears also in the policy for students. Students in Finland are fond of taking breaks to play with friends, even each school provides tools to play. Students are also asked to join interest clubs and socialize in their neighborhood. This is probably because the total school hours averaged only 18 hours per week. Are there homework in Finland? It seems to be a popular myth, and unfortunately, according to Tim, that's not true. The students still get the homework, but are given with great consideration. The teachers give Homework that isn't heavy, even the average can be done within 30 minutes. They want the students to actually get enough rest after school, and other activities can continue. Average student in Finland have become accustomed to independent. Schools and community work together to create it. Elementary school students have become accustomed to go to school alone take a bus or train. In addition things, Tim mentions the others key, such as an attempt to give a sense of belonging, try to teach the fundamental things, the ability to unite with a peaceful nature, and many more. Tim said that the core of the education are reasonable goes along with the principle of Universal life for each person. Happiness getting a great attention in curriculum of findland. In Finland, a happy education system became the bigger focus. A happy child can learns many things easily. Of course, there are still many interesting things about the education in Finland in. 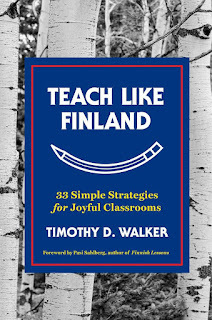 Are you interested in reading more Teach Like Finland?